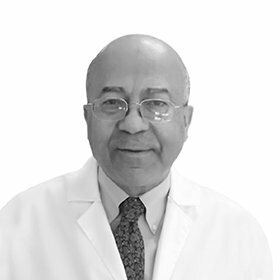 Dr. Mohammed Hafez Moursi has over 35 years of experience in different aspects of Clinical Cardiology. He has done his basic Cardiology training at Ain Shams University, Cairo Egypt. He then completed his advanced training in Clinical Cardiology at the University of Alabama in Birmingham (UAB), USA. He then went on a special training in USA in different aspects of ultrasound of the heart (Echo-Doppler) and is certified to do Echo procedures. Dr. Moursi was also appointed for a Faculty position at the University of Alabama in USA. He was involved in many research projects in the USA and published many articles in International Cardiology Journals. He is a frequent lecturer on a variety of Cardiology subjects. He is also a member of many Cardiology societies in USA, Europe, Egypt, Saudi Arabia and UAE. Before he moved to Dubai, he worked in Saudi Arabia in distinguished hospitals. Formerly, he was a Consultant Cardiologist at King Faisal Specialist Hospital Riyadh. Dr. Moursi has special interest in diagnosis and treatment of hypertension (high blood pressure).